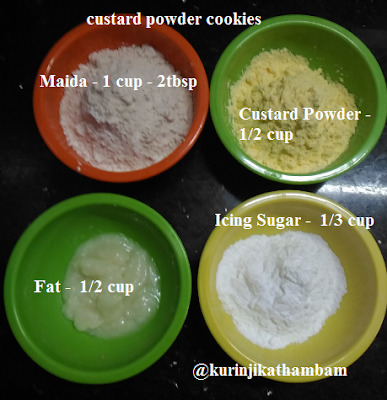 The Eggless Custard Powder Cookies is a very popular biscuit recipe; However this recipe is my own variant with unique combination. It was very tasty and kids had good fun having it because of the attractive shape. 1. 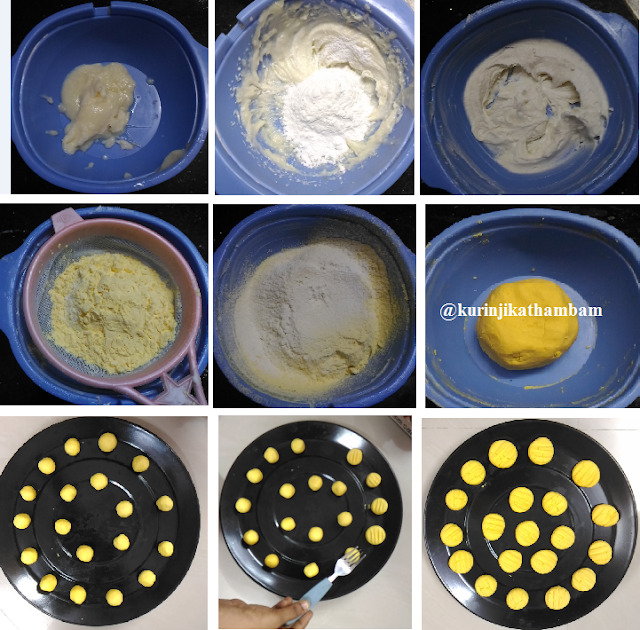 Cream the butter / fat with hand beater or electric beater. 2. Then add the icing sugar and beat them till they reach the soft peak consistency. 3. Now sieve the maida and custard powder together. Pour this mixture into the creamy butter. 4. Now mix them gently and knead it into a soft and pliable dough using your fingers. 5. Leave it for 5 mins, meanwhile preheat the oven at 200 degree Celsius for 10 minutes. 6. Now make gooseberry size balls from the dough. Then press each balls gently with fork to get the impression. 7. Place the pressed cookies on the ungreased tray and bake it for 10 mins at 180 degree Celsius. 8. Allow it to cool down completely and store it in a airtight container for later use. 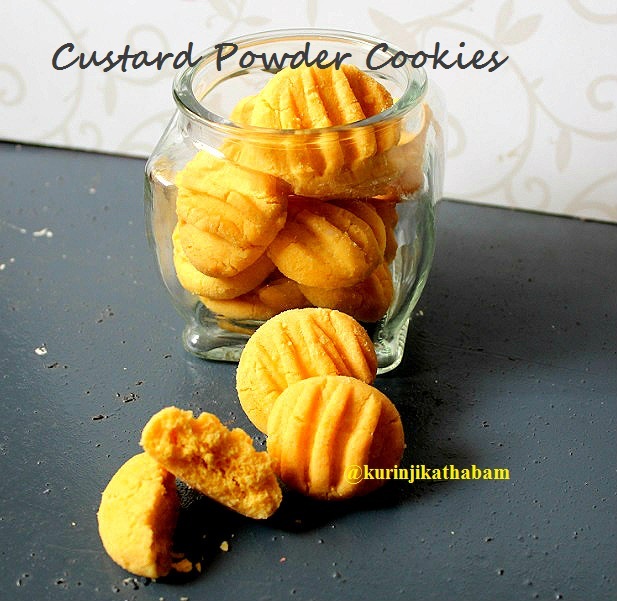 Soft and mouth melting cookies are ready for your kids snacks box. 1. I have used vanilla flavor custard powder. But you can use any flavor custard powder. 2. You can use odorless oil instead of fat. 3. Creaming the fat well is very very important.